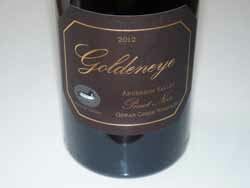 The Duckhorn Wine Company purchased the former Obester Winery in Anderson Valley in 1997 and planted 57 acres of Pinot Noir (the Confluence Vineyard). 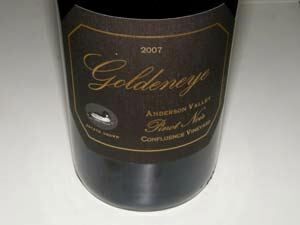 Later, they added additional Anderson Valley vineyard properties and now farm a total of 180 acres in the valley, second only to Roederer Estate's 580 acres. 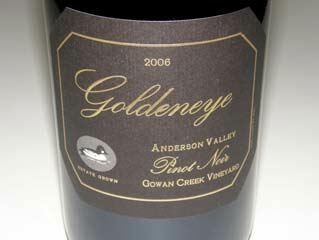 Goldeneye (named for a yellow-eyed waterfowl that occasionally calls Anderson Valley home since it lies on the bird's migratory path) sources fruit from both estate and non-estate vineyards (a total of twelve different vineyards). 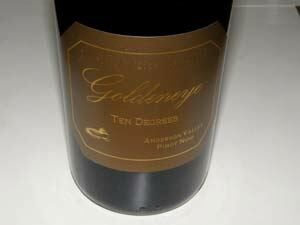 The winemaker Zach Rasmuson looked for rich, deep berry flavors. He was replaced at the helm in 2012 by Michael Fay who further refined the Goldeneye style. 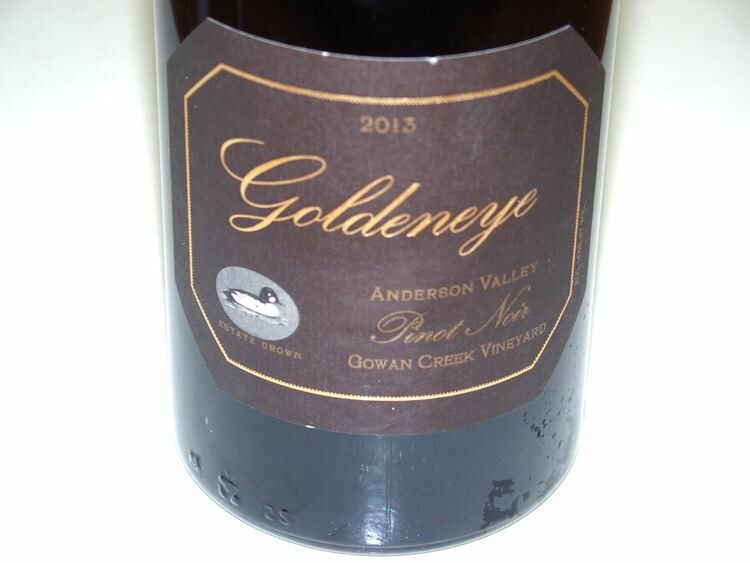 The Pinot Noir lineup includes: Goldeneye (a blend of estate and sourced fruit from the Anderson Valley), 4 single vineyard estate Anderson Valley Pinot Noirs and Ten Degrees, a reserve selection. The wines are sold through a mailing list and the basic Goldeneye bottling enjoy widespread retail distribution and popularity. A very professional and informative newsletter is sent to mailing list members. Goldeneye has a tasteful visitor center and tasting room open daily. An outdoor area is perfect for picnics and just relaxing. Special tours and tastings are available by appointment. The winery's Confluence Vineyard is the site of each year's Anderson Valley Pinot Noir Festival Grand Tasting.